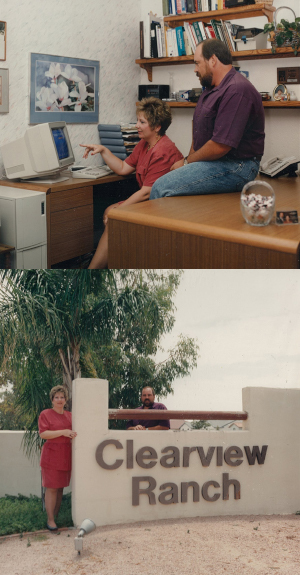 Joe and Debbie began selling real estate in Casa Grande in the early 80’s and the industry was quite a bit different then. Home searches on the internet weren’t possible. In fact, a Realtor had to carry around an inches thick MLS book of real estate listings and had to perform every task necessary themselves AND find time for the client. After working this way for a few years, the Yosts realized there was a better way. They weren’t just selling a house… what clients really wanted was incredible customer service, high standards, expertise, help and advice with negotiations, and plenty of time and communication from their agent. So, they made a decision, and opened their own RE/MAX brokerage in 1995 and started building the Yost Realty Group Team. They have built an award winning team of specialists, each performing in their sweet spot, so that the client always comes first. Their extensive team of administrative assistants is not typical of the industry and the Yosts believe that by hiring effective people to manage paperwork, internet marketing and all the behind the scenes detail work, they and their agents have more time to provide the high quality service their clients and customers deserve. The news spread about the service they provide, and the team dominated the Casa Grande market. Even though technology and real estate tools and regulations have changed over the years, Joe and Debbie’s vision has not changed. Their reputation for integrity, customer service, expertise, and exceptional negotiation is well known. So, that’s a little bit about how we became Casa Grande’s Home Team. Please enjoy our website and let us know how we can best serve you.